The following testimonial is for the Digestive Protection Star Team which is now included in the Chemtrail Protection Star Team. Last Spring, my daughter (age 9) missed school frequently due to continuously experiencing cramping, diarrhea and throwing up. At first, I attributed it to a virus at her elementary school because there always seemed to be some “epidemic” at our school when she got sick. However, the frequency of her throwing up (for a month she was was absent at least for 1-2 days each week) and her chronic stomach pain (even when attending school) my radar went off this was something more. My intuition prompted me to ask Alexandriah Stahr about this during one of our sessions. Alexandriah connected my daughter to the Digestive Protection Star Team over the summer and the symptoms disappeared. This past week, my daughter was throwing up again (after being in school for only 1 week) and not being able to eat very much due to the pain. We eat healthy and are vegetarian so I knew it wasn’t because of an over indulgence of junk food. Gluten and diary sensitivities seemed absent as well because consuming these food products didn’t seem to trigger any symptoms. Once again, I was guided to ask Alexandriah Stahr if anything else was related to her sickness and there was. In Alexandriah’s most recent email to Star Team members, she wrote “Apparently the Chem Trails also send out bacteria and viruses which fall to the ground and can infect crops.” She added two new Star Teams to my program, one being Virus and Bacteria Protection Star Team and the Digestive Protection Star Team which helped my daughter immensely. Within 1-2 days, It was as if a button was pressed and she no longer had the symptoms. My daughter is now eating without pain, is in a good spirits, and so far has not been sick. It blows my mind the dark forces are adding viruses to the toxins they already are spraying. Without these spiritual technologies, nothing is truly safe to eat on our planet. As an avid organic gardener, it is MADDENING to see our beautiful planet and all of its inhabitants being subject to this abuse! Then, I take a deep breath, say my clearing prayers, and know that we (including Mother Earth) are on the the Christed path to Ascension and the Solar Star Command and Alexandriah Stahr are working hard to clear these MATRIXES. 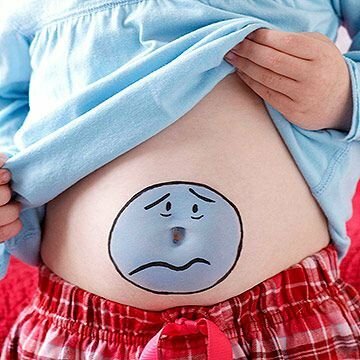 If you or your kids are experiencing stomach bug symptoms frequently ask Alexandriah Stahr about it. I am so grateful my daughter is not going to have to endure another year of being chronically sick and in pain.